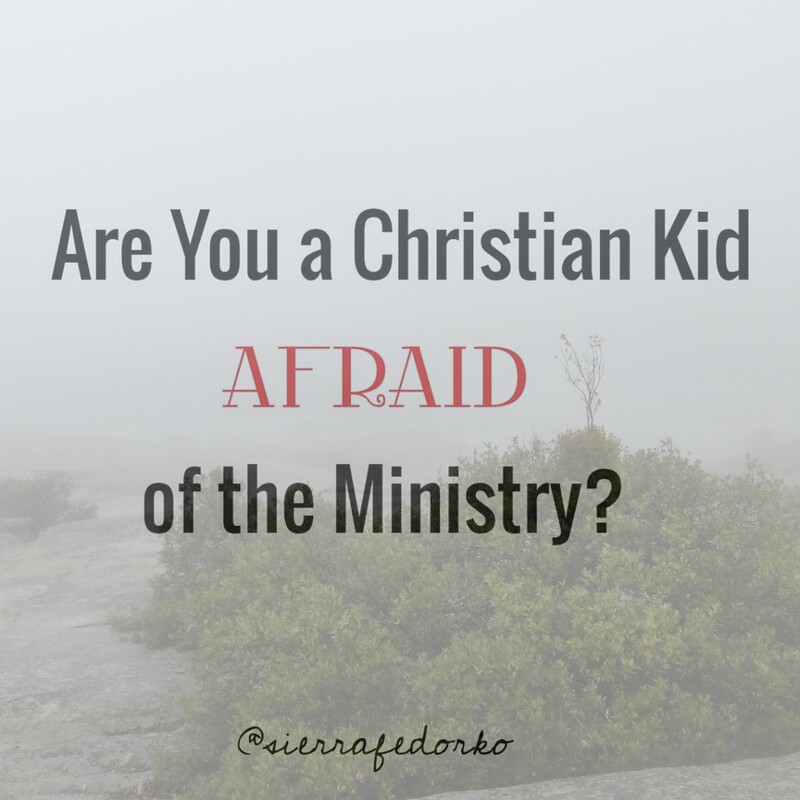 Are You a Christian Kid Afraid of Ministry? They say it as though they have been forced, coerced, or demanded to be in full-time ministry. It’s really damaging for a kid in the ministry to hear this kind of jibber jabber. It makes ministry sound so, so awful. It wasn’t until recently that I realized that I didn’t need to be afraid of full-time ministry. And you don’t either! You don’t need to be afraid of doing the thing that you currently can’t imagine yourself doing. Because when you walk with God, His desires become your desires. His delight becomes your delight. When you walk with God, you want to use your life in whatever way would most glorify Him. And then when you say YES to Him and find yourself in the position you never thought you could ever be in, you’ll experience joy twice over, comfort abundant, exhaustion, and fulfillment. You don’t need to be terrified of going to a foreign country, being a pastor’s wife, becoming a full-time camp worker, being a youth pastor, or living in a strange place. If you walk with God, His desires for you become your own desires for your life. not a foreign country, not a camp ministry, not a church. You’ve chosen God and His delight becomes your delight! and it is the best life. I can’t tell you where to go, who to be, or what to do with your life…that is between you and God. But when you chose God’s way for your life, it will not be a disappointment. Walking with God never is, because here you will find joy– overflowing joy! So, I urge you to not be afraid of the ministry. Don’t even be afraid of your future. Simply keep walking with God. He will show you the way He has for you…whatever that may be. And always remember that there cannot possibly be a better life than the one that is in a deep relationship with Christ.